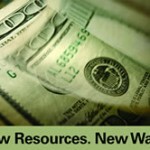 CPCC’s Financial Aid Office - New Resources. New Ways. Financial aid applications must be completed by selecting the “import” option using the IRS Data Retrieval tool on the FAFSA; otherwise an official IRS Transcript (directly from the IRS) is required. Visit Your MyCollege Account to find out if additional financial aid documents are needed, confirm your account balance, or check the status of your grades. Learn more about IRS Transcripts and the Verification Process. Learn more about VA benefits on the Veterans’ Website. For information about the financial aid process, visit the Financial Aid Website. If you have already been awarded, but your aid is not enough to cover your bill, check Financial Aid Options. If you are working directly with a Financial Aid Specialist and are awaiting an electronic correction, or if you have already been awarded, this message may not apply to you. Your immediate attention to your financial aid status is required. In-person service is available at each of our six campuses during normal business hours. This entry was posted in Financial Aid and tagged FAFSA, financial, financial aid, tax, tax return, taxes by Adam Brooks. Bookmark the permalink.